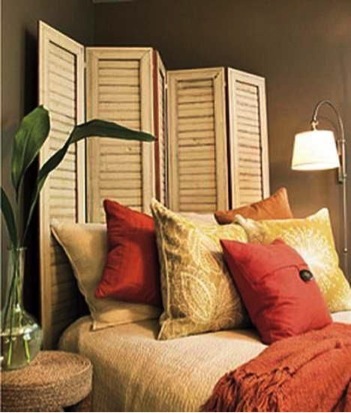 There’s nothing better than gorgeous set of shutters to set the tone for your home. Their presence on main windows and doors sets the stage for impressive interior décor of varying styles. While we’re all about building and installing beautiful new shutters for homes and businesses across the state, we also appreciate the serious creativity that goes into repurposed shutter décor. 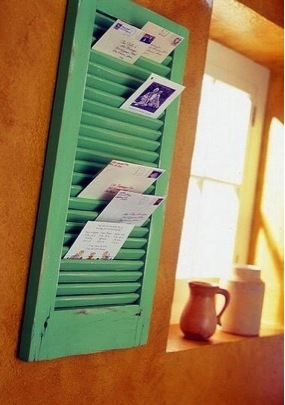 That’s why we’re taking a moment to highlight some of the coolest examples of repurposed shutters the web has to offer. 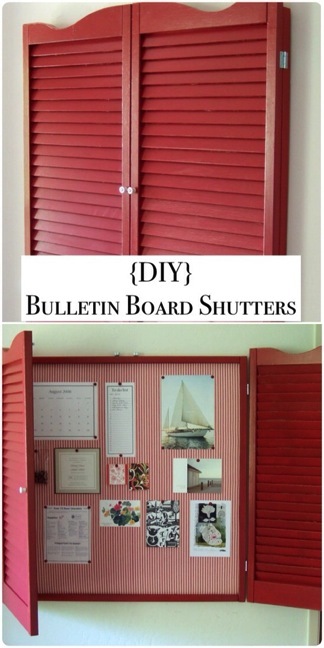 Ready to check out some awesome DIY projects involving shutters? Read on! 1. Forget the ugly, old whiteboard. This cute bulletin board is visible when you want it to be, and hidden when you’d prefer it serve as a decorative element in your kitchen or bedroom. 2. If you opted for a bed without a headboard, this is an awesome and affordable way to give the appearance of one! 3. Storage space can be pretty. Here’s proof. This cute cabinet stores cleaning products and supplies in style. 5. 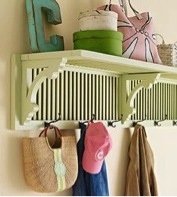 What better way to hang your coats, bags, and hats, than on a personalized shelf? 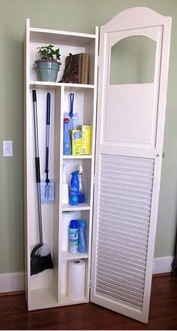 This repurposed shutter provides the ideal support for a DIY shelf, complete with hooks. 6. A mug offers a great way to display your favorite ceramic pieces and make room for plates, bowls, and cups in your dish cabinet. 7. We think this DIY project is much cuter and better organized than a stack of mail. Wouldn’t you agree?! Simply painting and hanging a repurposed shutter on your wall provides cute décor with the ability to serve a purpose other than just looking great! 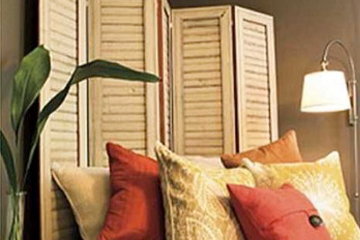 Looking to invest in a beautiful new pair of shutters for your home or business? Check out our gallery then give us a call at 801-997-9306.